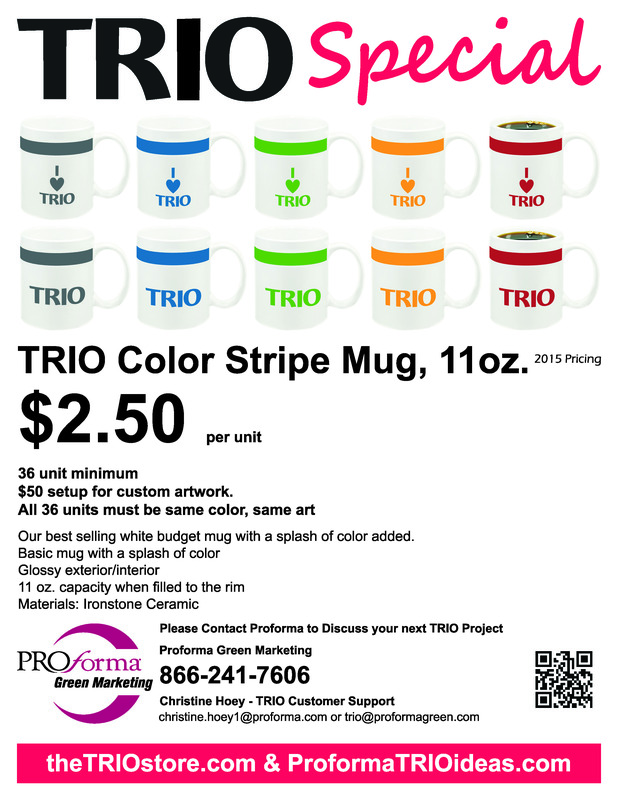 Special: TRIO Color Stripe Mugs. Great 11oz ceramic mug, with a dash of color. Stock art or custom art possible.